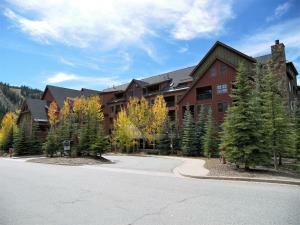 Situated 2.8 km from Summit Express, Ski Tip Ranch 8701 offers accommodation in Keystone with access to a hot tub. Guests staying at this apartment have access to a fully equipped kitchen and a patio. This 3-bedroom apartment includes 3 bathrooms equipped with a hot tub. A flat-screen TV with cable channels is offered. If you would like to discover the area, skiing is possible in the surroundings and the property can arrange a bicycle rental service. River Run Gondola is 2.8 km from the apartment. Eagle County Regional Airport is 118 km from the property, and the property offers a free shuttle service. When would you like to stay at Ski Tip Ranch 8701 ? This apartment features a tea/coffee maker, microwave and DVD player. Guests are required to show a photo identification and credit card upon check-in. Please note that all Special Requests are subject to availability and additional charges may apply. Please inform Ski Tip Ranch 8701 in advance of your expected arrival time. You can use the Special Requests box when booking, or contact the property directly with the contact details provided in your confirmation. Please note that the full amount of the reservation is due before arrival. SummitCove Lodging will send a confirmation with detailed payment information. After full payment is taken, the property's details, including the address and where to collect keys, will be emailed to you. This property will not accommodate hen, stag or similar parties. Guests under the age of 25 can only check in with a parent or official guardian. Please note the property will email a rental agreement to the guest after booking. If the agreement is not received, the guest should contact the property management company at the number on the booking confirmation. 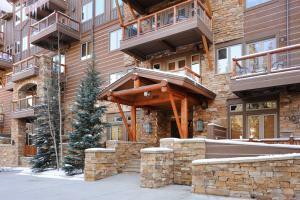 Each day we'll check prices and send you an email for your selected dates at Ski Tip Ranch 8701. If you don't have specific dates but would like to check prices for say next weekend or say next month we can check the price too. 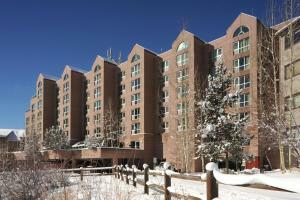 Click to write a review and share your experience of Ski Tip Ranch 8701 with other travellers.